APL After Dark is a quarterly, themed, adults-only evening in the Austin Central Library. Come out for entertainment, mingling, games, storytelling, and more — all inside the beautiful spaces of your favorite library! We're celebrating all the cuteness at our next APL After Dark! 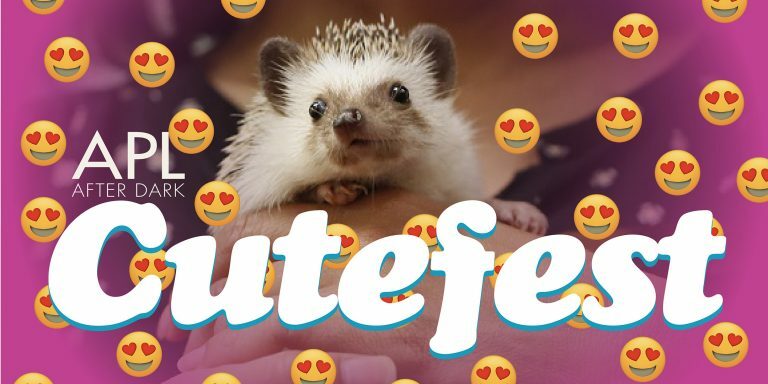 Pet adorable animals from Tiny Tails to You, enjoy super cute DIY crafts, dance to the cutest songs, meet other cutie-pies who love the Austin Public Library, and hear from storytellers Meghan Ross and Nick Almeida Miller, plus comedian Yola Lu. Plus light bites, cash bar, board games, and a beautiful view of the very cute Austin skyline!